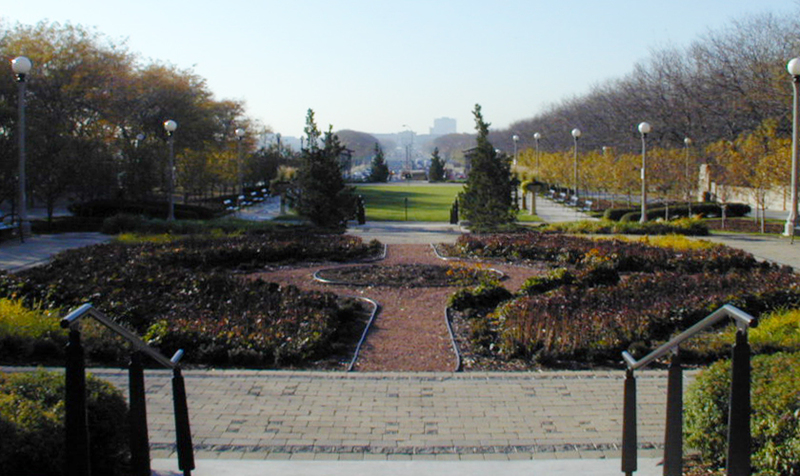 Cancer Survivors’ Garden is a notable feature of Chicago’s Grand Park located between the “Maggie Dailey Park” and Lake Shore Drive. This 2.25-acre park was built in the style of European terraced formal gardens. It is intended to provide encouragement and strength to those battling with cancer. The design includes three tiers. Tier one is an herb garden, flanking the entrance, Tier two is an open park and Tier three is a butterfly garden, with computer database of cancer survivors’ names. Plaques holding words of encouragement and information for the visitors are included in the landscaping. Two pergolas with benches flank the lower tier. These pergolas provide an area for reflection and meditation. Two 48-foot Corinthian granite columns frame the steel-arched entrance at Randolph Street. These columns were once part of Chicago’s Old Federal Post Office Building and were lost when the building was demolished in 1966. 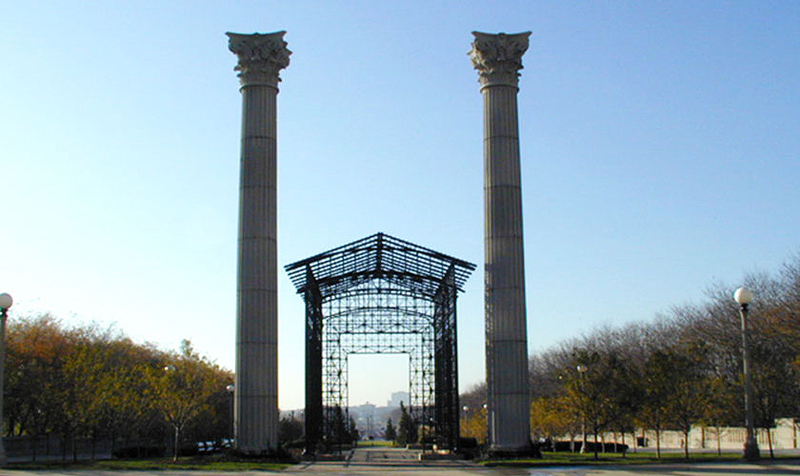 The columns were salvaged from Lake Michigan during construction of the stone revetments.